Here are a few examples and links below to get started! This post contains affiliate links. At no additional cost to you, we will earn a small commission. There are different journaling Bibles out there right now that have illustrations in them already. My favorite is one that just came out. It is The Message Canvas Bible translation. I know that some people are a little iffy about this translation, but I love it. Since I’m not really a colorer, I'm usually not a fan of the pre-illustrations, but I really love these. There are over 300 illustrations in it that are amazingly gorgeous, and there is PLENTY of room for your own artwork. If you enjoy coloring, then a pre-illustrated bible might be for you! I think it would also be great for kids. If you prefer a different translation, you can check out the New Living Translation Inspire Bible. If you are a King James fan, you might enjoy this Bible. And of course, if you’re not into the pre-illustrated option, there are Bibles with blank 2-inch margins! Pro Tip: Not all Bible journaling pages are created equally!! I have heard through the grapevine that the pages in the Inspire bible are very thin. I haven't personally used this Bible, but I I trust the reviews I've gotten from other Bible journaling friends. My experience is with the Crossway ESV and The Message Canvas. These have the thickest, most durable pages. The Zondervan NIV has thinner pages. If page thickness matters to you, I recommend you go with the ones I have used and recommend above. Another option would be to go to your local Christian bookstore and see if you can find some to look at before you buy. These are perfect when you don’t want to learn hand lettering!! Just pop these in to make your words, and they always look cute! Buy different styles, so you can change it up throughout the verse. Here are a few different kinds, but any you find will work if you like them! Clear acrylic stamps are really great for adding artwork to your pages if you don’t want to draw. You can find these online by searching for “acrylic stamps,” look on Etsy, or in the scrapbooking area in craft stores. I like the clear ones because you can see where you're stamping, but if you already have wooden stamps, they’ll work too. I highly recommend getting alphabet acrylic stamps in addition to stickers because you can reuse the stamps while the stickers will eventually run out. Here are some cute ones I really like. There are so many options! If you’re going to be using acrylic stamps, you’ll need an acrylic block to put them on! You probably won’t need a very big one, but they do come in packs of different sizes just in case! The acrylic stamps won’t do you any good if you don’t have ink. I recommend the Staz On brand because it is waterproof, so you can paint over it if you want to. Just a disclaimer, this ink can and will bleed through if you have a bunch of ink on the stamp. If you stamp over paint, it usually doesn’t bleed through as bad. I recommend leaving the lid off for a while to let it dry up just a little bit, so it isn’t quite as watery, but don’t forget to put the lid back on after a while. Most people who craft have an immense love for washi tape! You can use washi tape on the edges of your pages for decoration, tape on tabs to mark your pages, tape in tip-ins*, etc. If you can think of a way to use it, then go for it! You can find washi tape pretty much anywhere! And there are endless amounts of cute patterns to choose from. 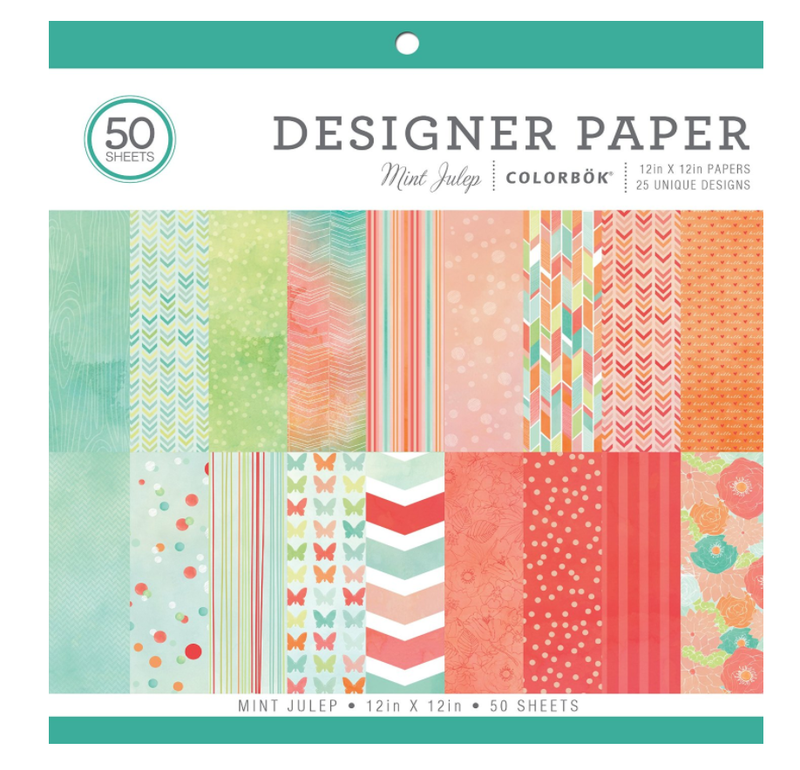 You can finds pads of extremely cute paper in pretty much any store with a craft or art section. You can use this paper to cut out tabs, or you can cut pieces out, write prayers on them, and tape them in your bible. This was in my last supply post, but I think it’s worth mentioning again. This is great for if you want to mark your pages. Just use this to punch out a piece of cute patterned paper (above), write something to reference the page on it, and washi tape or glue that sucker to the top of a finished page and voila! Now you have a marked page. These are actually my favorite way to mark a page. I tie a scrap piece of fabric to the top and have a super easy bookmark! Gold ones are my favorite because I love gold, but any paperclip will work! Die cuts are a really cute way to add color and images to your pages without having to draw anything. Just tape or paste them in to the margins. This one was also on my last supply list, but I really love watercolors. You can use watercolors to add a splash of color to your page without actually painting any THING. Just plop it down in blobs. You can’t really mess up watercolors. Pro Tip: Crayola watercolors are extremely pretty and vibrant, but they WILL bleed through your page. They’re the only watercolors I’ve had any issues with bleeding. If you aren’t comfortable with watercolors, colored pencils are a great way to add color to your pages! 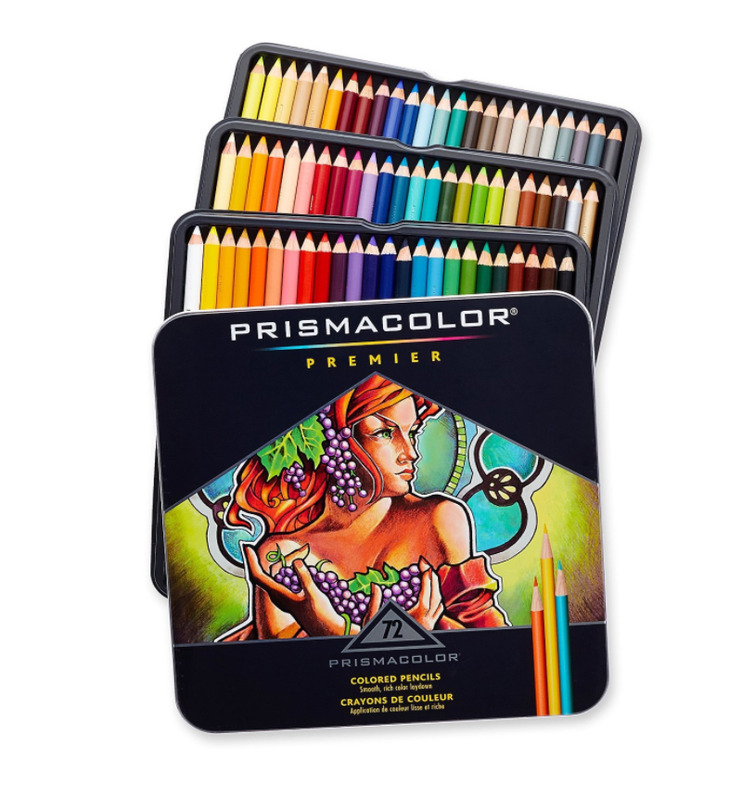 These Prismacolor pencils are artist quality and will last a long while. If you have Crayola colored pencils around your house, you can certainly use those. A lot of people use acrylic paint to add a colorful background to their pages. You can either paint it on with a paintbrush, or you can put a little bit on the edge of an old gift card or a paint wedge (below) and just drag it along the page. A lot of people recommend a heavy-bodied acrylic paint like Liquitex, but you can try different paints to see which ones you like best. Like I said above, you can put a little bit on the edge of the wedge and just drag it along the page. It will apply a thin layer of paint on the page to make a colorful background! Try doing a bunch of different swipes in different colors and directions to make a colorful background! You MUST date your pages. You’ll totally regret it if you don’t. 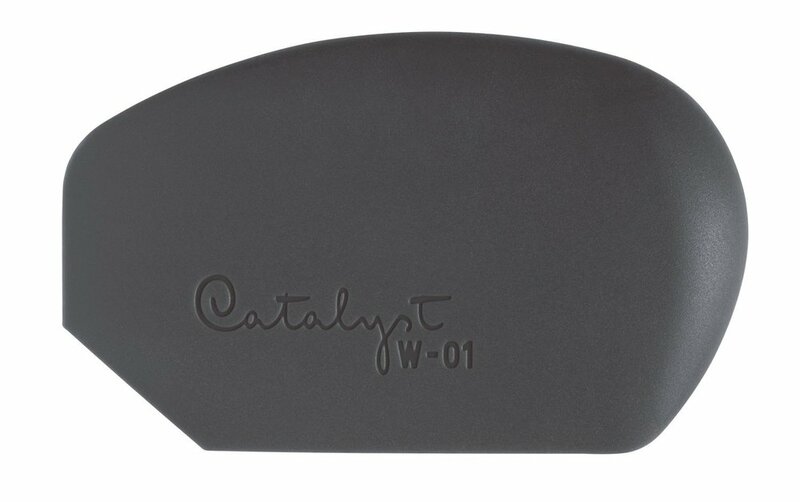 I use a self inking date stamp and really like it. I use a self-inking one because, honestly, I’m lazy, and I don’t want to get out an ink pad every time I want to date. If you have your ink pad out already, there are some really cute ones to date your pages with. Of course, there are pens, pencils, and erasers that I love as well. You can find those in my first bible journaling supply post. I hope that these recommendations were helpful to you! Hopefully they will give you some ideas of what the products were and how broad the selection is. You can check out the links above on Amazon or go to your local craft store and just browse! I’m sure you’ll find tons of things that you can use to decorate your pages. Almost anything you find will work. The only things I will caution you about are markers and some ink pads. You have to be really careful with these because many will bleed through, especially if they’re alcohol-based. Usually water-based anything is your best bet for no bleeding. Just be sure to test supplies first on some of the blank back pages of your bible. Also, the most important thing to remember!! It’s SO easy to get lost in supplies and want to buy every. single. thing. Please don’t do this. You will soon come down from the craft-supply high and could possibly be left with a bunch of things you just don’t want, need, or want to learn how to use. Start out slow to find what you like and want and add gradually as you figure out your journaling style. I feel like a broken record saying this, but what’s most important isn’t the supplies or how great of an artist you are. The most important thing is the REASON you’re journaling and how God blesses you because of it. *A tip-in is when you tape something into your bible. It can be a cute printable, a cut-out of some kind, a card with a prayer on it, etc.